The New Year has started but there is still time to post my reflections and inspirations. This one is a biggie I’m afraid! In the past year I’ve definitely grown as a sewist and a blogger: I have learnt a lot of smart new techniques and tips, creating some wardrobe favourites, challenged myself to sew different and more difficult garments, plus I had a great deal of fun in the process. Here are some of the simple things I have to say about the year. 1. It’s better to practice with a muslin first so you don’t ruin good fabric. But it’s not good to put fabric up on a pedestal, worshipping at its beauty and never cutting into it. I need to stay on the right side of that line to make sure I don’t keep stash fabric without ever enjoying it but treat it with the proper respect. I have been guilty of both ruining and hoarding delicious fabrics. 2. I still love drapey fabrics like viscose, rayon, chiffon, georgette and polyester over stiffer fabrics. Though this year I think I did sew with more cotton than chiffon. The cotton lawn from textiles express is the softest and dreamiest cotton lawn I have ever used (in your face Liberty tana lawn), the only problem is the limited range of fabric designs (come back Liberty, I love you really). I have a mini stockpile of Liberty gift vouchers to spend as soon as I get to London and know exactly what I’m going to buy with it. 3. I’m not sure I enjoyed Me Made May as much as I hoped in 2013. I wear so much handmade gear on a weekly basis it felt like I cheated. How silly is that! Plus trying to organise MMM posts while abroad in Portugal probably didn’t help. The only thing I loved was having a polka dot week during the month! I might let myself off documenting the days this year and sit back to watch everyone else take part. 4. I’ve refined my skills quite a lot this year so I truly believe the insides of my garments look as nice as the outsides. This does add time to the making of a garment but really not that much. Although I now know good hand-sewing techniques and find it almost tolerable to do, I’ll still avoid using hand-sewing wherever possible. This has had positive results where I’ve lucked upon awesome results with machine stitching lining! 5. Joining the Library was one of the best things I did last year. I have loved walking around the gorgeous building and I’m still unearthing treasures to read from the Art Library. 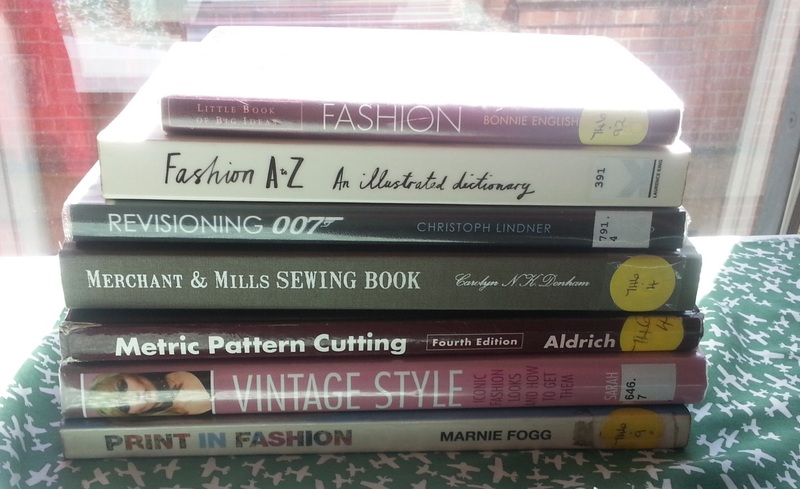 Today I got a book about beautiful appliqué art and a book about Scandinavian fashion design. The blogging and sewing community is full of immensely talented and very often hilarious women; so it’s unsurprising that they should be credited as my major inspirations. 1. 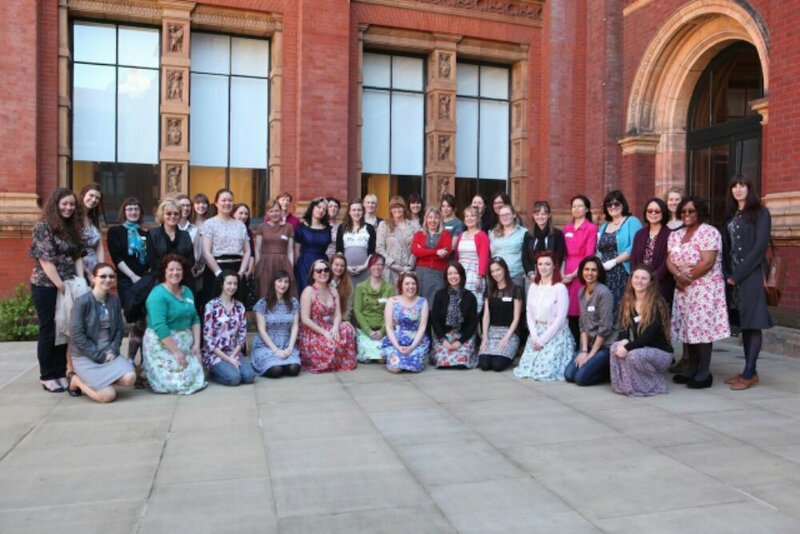 UK sewing bloggers – I think meeting up in person with so many wonderful UK-based sewing bloggers has made my year! Add to the meetups the sheer number of twitter, instagram and email conversations we’ve had, means I’ve truly made many wonderful friends this year. Roisin, Kat, Marie, Sabs, Janene, Jo, Sally, Claire – ooh goodness there are so many more of you to mention – you ladies are always there with a friendly chatter and encouragement. Not to mention the amazing things you all make which keep me inspired and motivated. I love the variety provided to the blogging world by UK sewists, and if I get to see the makes up close in person then I’m even happier. 2. Australian sewing bloggers – There is a special place in my heart for Australia. I can close my eyes and picture myself back in the cafes of St Kilda, eating fish and chips in Manly bay or at Wollombi drinking Dr Jurd’s Jungle Juice! Mostly I wish I was back in Australia while being in the knowledge of what awesome sewists lived there. Amanda sews with such joy, Lizzy, Lizzy and Jodie regularly excite me with their makes and Kirsty is like this sewing ninja as I never know what she’s going to spring up with next. Plus Rachel who I got to meet this year and tempt into buying a ludicrous amount of fabric. 3. French sewing Bloggers – Now and then I mention my longing to be a glamorous French woman, who knows how to dress and pose and blog (all effortlessly chic). This will never happen. Instead I live vicariously though Julie (Jolies Bobines), Sandra (By Sandra’s Hand) and Mathilde (Felicie a Paris) to name a few. And thank goodness there are now French patterns I can get hold of and sew as well thanks to Eléanore (Deer and Doe) and Géraldine (RDC). 4. Best of the Rest: bloggers from all over and not necessarily sewing bloggers who I have really enjoyed reading this year – Sonja (Ginger Makes), Amy (Sewing Through The Motions), and Anna (Paunnet) are of course wonderful sewists. Three new favourite vintage/fashion bloggers are Alix (Cherry Blossom Girl), Laura (Paper Mothball Vintage) and Marianne (Esme and the Laneway) whose beautiful clothing, makeup and photography have kept me hooked all year. 5. Modcloth – Okay fine the only non-blogger inspiration I’ll credit. I seriously do take a lot of inspiration from this online shop. I don’t necessarily make exact replicas but looking through the clothes and accessories gets my inspiration and motivation buzzing away. Phew! I’m glad I decided to hold over my Goals for 2014 into a different post. You’d have been falling asleep on me if I’d gone on any further. Obviously I couldn’t mention all of the sewing bloggers I wanted so I hope you all know what a difference you’ve made to my life. More to come in my final instalment of this round up. And after that I should have some something recently sewn to show you! Great post. So much there! And oh to be aa sewng ninja! Thanks so much. I love that liberty print.. it will look so great made up! You’ve had a great year and I’m so glad to have found you. So fun to read all your inspirations! I definitely don’t utilize the library enough– thanks for that suggestion! ALSO– I’m in love with the Queue for the Zoo print! Can’t wait to see what else you pick out from Liberty!!! Oh man I bet your library will be way better stocked than mine! 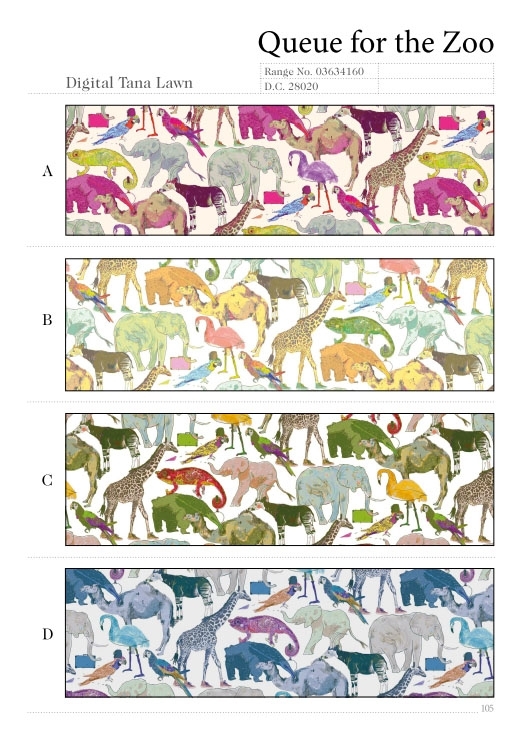 I bloody love the zoo print but can’t decide which colourway! What a lovely post with some new to me bloggers to check out! Thanks Amy! Great post and some more bloggers for me to discover! You simply must come back to Aussie and visit us all, I am sure we would organise a meet-up to celebrate. Thank you, thank you, thank you…for introducing me to some lovely new blogs! I’ve enjoyed meeting you and following your awesome journey too!